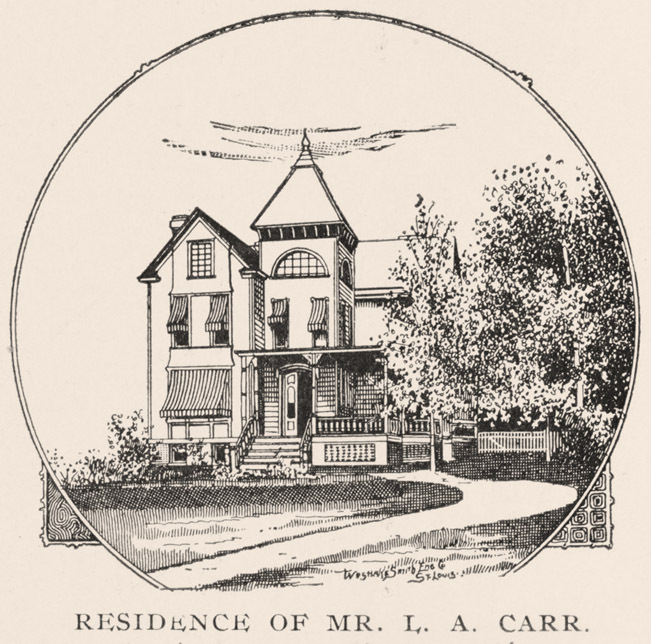 Louis A. Carr, despite the familiar last name, was not directly related to Julian Carr; rather he came to Durham from Baltimore in the late 1880s or early 1890s. He became a partner with Samuel T. Morgan in the Durham Fertilizer Company, and along with Julian Carr and George Watts, he formed the Interstate Telephone and Telegraph company in 1894, about which I've written more here. Carr married George Watts' sister, and built a house just to the south of Watts' in the newly developing Morehead Hill 'suburb'. Below, Carr's house in 1895. Carr was a member of the Durham City Council in 1895. His name disappears from the secondary records soon thereafter - I presume that he likely died in the late 1890s or early 1900s. However, the location of his house would soon become the residence of another prominent citizen of Durham. John Sprunt Hill was born in 1869 in Faison, Duplin County. He attended UNC, taught school in North Carolina, and then attended Columbia Law School. After practicing in New York for several years, He married George W. Watts' daughter in 1899, and moved to Durham in 1903. Hill and his wife initially lived in George Watts' original Morehead Hill house, which he had moved to the east side of South Duke St. to make way for his even grander house, Harwood Hall. 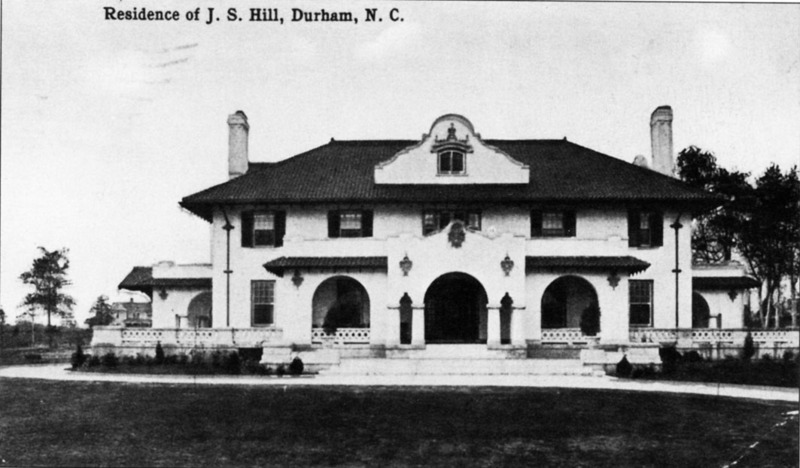 In 1903, Hill established the Durham Bank and Trust Co. and the Home Savings Bank. By 1910, George W. Watts had acquired the home and land of LA Carr (his brother-in-law) and sold or gave this to the Hills. They hired architects Kendall and Taylor of Boston, who had just completed work building the new Watts Hospital (funded by George Watts) to build this Spanish Colonial Revival house. 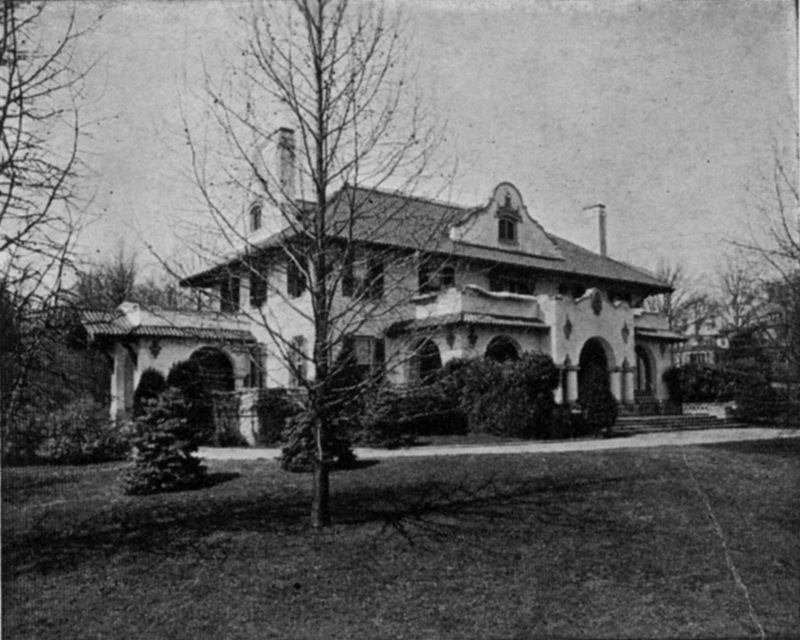 The house was different in style, but similar in mass and grandeur to the other mansions of Morehead Hill, with vegetable gardens, orchards, greenhouses, stables, and other supporting structures (as outlined here) on the southern portion of the land and tennis courts, putting greens, and a rose garden on the same square as the house. Hill became a pivotal figure in the history of Durham - and Chapel Hill, and not only for the rise of his banking interests (which would be housed in his namesake building) into what became Central Carolina Bank. He also founded the Farmers' Exchange and helped establish credit unions in North Carolina; he served in the NC Senate from 1933-1939. 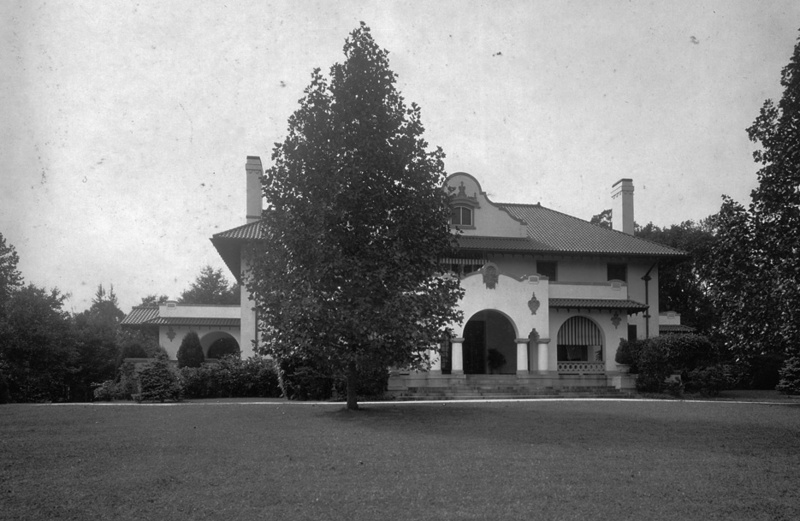 He played a strong philanthropy role at the University of North Carolina, building the Carolina Inn in 1924 and donating it and its grounds to UNC in 1935. He donated significant funds for endowment of the North Carolina Collection at Wilson Library at UNC, and established a chair in the History department. He served on the building committee and as a trustee, donating significant sums for campus expansion. Back in Durham, he and the Watts and Dukes donated the money to buy the old Stokes homesite on Fayetteville St. for the Lincoln Hospital in 1917. He gave the city the land for Hillside Park. He acquired the golf course at Forest Hills and donated it to the city for a park in 1930. He donated a large tract of land on the East side of town to the city in 1932 for parkland, which the city divided up into a park for African-Americans (East End) and for whites (Long Meadow.) He donated land for a park at Branch Pl and Proctor, no longer extant. He purchased Durham Athletic Park and donated it to the city in 1935, and gave the 149 acre Hillandale golf course to the city in 1939. When he died in 1961, he donated his house to a foundation created in his wife's name, the Annie Watts Hill Foundation, for the use of non-sectarian, non-political female organizations. The Junior League of Durham of Durham and Orange Counties makes its home here, although it is open to any group meeting the aforementioned criteria.